The chronicles report that Vittore, the son of the doge Orso I Partecipazio, who became patriarch of Grado in 884, was the priest of St. Sylvester, which confirms that this church existed before that date. It was founded by the Giulia, or Andrearda, family, and with other subsidiary churches looked to the patriarchs of Grado, who placed their headquarters in a nearby palazzo in the 12th century when they were forced to abandon Grado and come to Venice due to the degradation of the area. 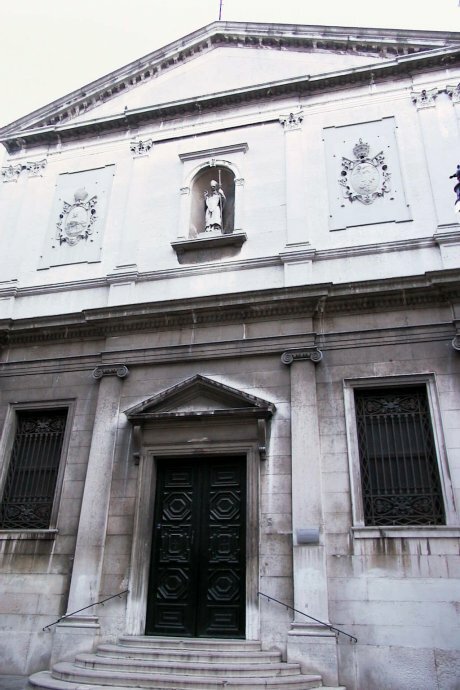 The church of S. Silvestro was rebuilt, according to Cornaro, in 1422, and in 1485 the nearby oratory of All Saints, which was consecrated in 1177 by Pope Alexander III, was incorporated into it. It was restored again in the 17th century, and between 1837 and 1843 it was almost completely rebuilt from the ground up to a design by the architects Santi e Meduna as it was threatening to fall down. It was reopened on Christmas Eve. Although documentary evidence is lacking as to the institution of the parish, it is certainly very old and perhaps contemporary with the church. In 1810 its boundaries were extended to include the districts of S. Giovanni Elemosinario and S. Matteo and also part of S. Apollinare e di S. Cassiano.